TigerSportsNation.com - WHO’S GONNA MAKE A MOVE? WHO’S GONNA MAKE A MOVE? 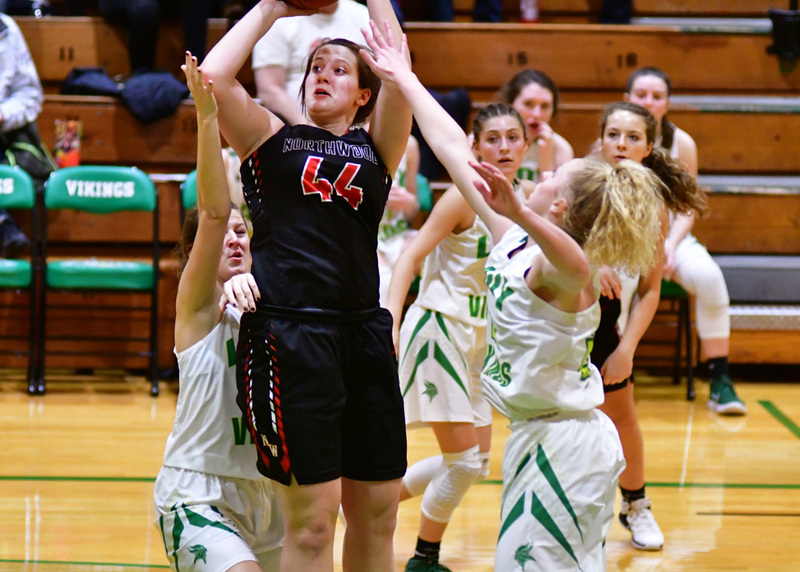 WARSAW – The drawing of the sectionals for the 44th annual IHSAA Girls Basketball State Tournament yielded some really juicy matchups, as it always does. Now it’s whether teams are going to make lemons or lemonade. There seems to be no shortage of sectionals that are, as colleague Bill Beck used to love to say as “wide open”. One needn’t travel further than Elkhart County and Beck’s old stomping grounds to find the Class 4-A Northridge bracket. Six of the seven programs will come in with winning records, and all have at least 14 wins save for Elkhart Memorial, which has six wins. Warsaw will meet the Chargers in the four-team pod that has Goshen and Elkhart Central on the other side. Warsaw doesn’t necessarily have a gimme, only pulling away from Memorial in the fourth quarter of its Jan. 9 contest to win by 11. The games are scheduled for Wednesday, likely to be moved given the forecast. Coach Lenny Krebs still isn’t taking Memorial lightly, knowing one slip up could cost his team. On the other side of the Northridge bracket is Tuesday’s tourney opener between Northridge and Plymouth, a rematch of last Thursday’s matchup that saw Plymouth knock off Ridge. Concord, after its best regular season in over two decades, will take on the Plymouth-Ridge winner. Central is the defending champion for the Class 4-A sectional. Moving along to Class 3-A and the West Noble sectional, more sets of hands are being thrown up in the air as a top-heavy bracket has four powerhouse teams evenly dispersed in the six-team grid. West Noble, Lakeland, Tippecanoe Valley and NorthWood all have at least 14 wins, and none are playing each other in their first games. Lakeland will get Wawasee in the Tuesday opener, and West Noble will get Fairfield in game two, the Warriors and Falcons with a combined 10 wins. Waiting for the game one winner is Tippecanoe Valley, and NorthWood will either get the host Chargers or the defending sectional champ Falcons. Class 1-A’s Oregon-Davis tourney, Triton will have its hands full with one of the sectional favorites in South Central. The two will open the seven-team draw Tuesday night. The Satellites knocked off Triton by 13 in the first week of the regular season, and while Triton earned a split in the Bi-County tourney, it scored just 13 points Friday in a loss to North Judson. The four-team pod at O-D features LaCrosse versus Culver and Oregon-Davis and Argos. South Bend Career Academy will get Tuesday’s winner in the first semi-final. O-D is probably the hottest team coming in, winners of nine of its last 11 games and the defending champion. A few counties away at the 1-A Fremont tourney, the hosts will tussle with Lakeland Christian Academy right away in game one. Both teams have 13 wins and lead the pack in that category, but five of the seven teams have at least 10 wins. LCA is looking to win its first-ever sectional championship, falling in the title game a year ago to Lakewood Park. Fort Wayne Blackhawk will take on LPC opposite Bethany Christian and Hamilton, and Elkhart Christian meets the LCA-Fremont winner. This year’s tournament likely will see some rearranging with the poor weather heading through northern Indiana this week, especially for the seven-team brackets with Wednesday games. We will update the latest tourney happenings as the announcements are made this week.